Republica’s team of 120 experts specializes in creating relevant, enduring connections across culture, language, and technology, providing strategy, creative, research, media planning and buying, analytics, consumer science, digital, public relations, social, and experiential for brands in the U.S. and around the globe. Today, the agency works with numerous brand partners including Walmart, Toyota, Google, Nielsen, Four Seasons Hotels and Resorts, Freixenet USA, Azamara Club Cruises, Baptist Health, NBCUniversal Telemundo, Adrienne Arsht, Universal Parks & Resorts, BankUnited, Sedano’s Supermarkets, Miami Super Bowl 2020 and Goya Foods, among others. 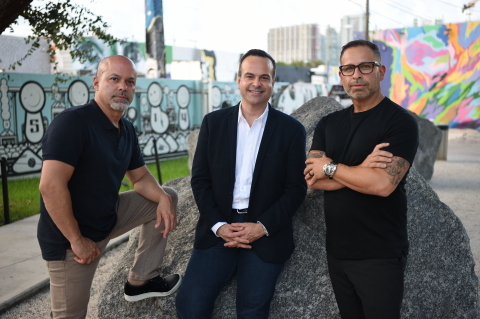 The agency will be renamed Republica Havas and will remain headquartered in Miami, with expansion plans to other key U.S. markets including New York, Chicago and Los Angeles. Republica Havas will continue offering expert multicultural marketing intelligence, combined with the ability to leverage Havas’ global integrated communications network as well as tap into parent company Vivendi’s media and entertainment properties. Republica Havas will continue to be led by Plasencia, Casamayor and their executive team, and sit under the direction of Paul Marobella, Chairman and CEO, Havas Creative, North America. “Our mission as a creative agency is to ignite the businesses of the brands we work with through cultural relevance. As such, it was important for us to find the best partner that doesn’t just understand multicultural marketing but is embedded in the fabric of different cultural communities in America—Republica is that partner. Combining our integrated capabilities with Republica’s fluency in multicultural values and preferences will allow our clients to connect to diverse audiences with authenticity and impact,” added Paul Marobella, Chairman & CEO, Havas Creative North America. Republica was recently ranked seventh on Ad Age’s 2018 annual list of the top 50 U.S. Hispanic agencies, making the firm the No. 1 independent shop on the list. The agency has also recently garnered 56 top industry awards and accolades, including a Cannes Lions Shortlist, Clio, Spain’s Festival El Sol, New York Festivals, Imagen Award and PRSA Bronze Anvil, among others. Havas Creative North America is a progressive creative agency network focused on being the most meaningful partner to the modern CMO. It offers a comprehensive mix of capabilities within three distinct networks; Havas, Arnold and The Annex, including creative, experience design, cognitive, data and technology as well as unique access to other Vivendi-owned properties. With agencies in NY, Chicago, Boston, Los Angeles, Atlanta, Miami and others, Havas Creative North America brings nearly 2,800 of the most talented people in the business. As the most modern, flexible and agile creative network in North America, Havas reinforces the following five key pillars in everything it does: creativity, culture, community, consumer experience and commerce. We are creators. We are data. We are social. We are ideas. For more information, visit havas.com or follow Havas on Twitter (@havas), Facebook (facebook.com/HavasCreative) and Instagram (@havas).